Described by the distillery as being aged in a complex mix of both first fill and second fill casks sourced from Bourbon distilleries and Sherry bodegas. This has some wonderful vanilla, spice, fruit and citrus peel flavours. Types of Barrel used for Aging A combination of ex-Bourbon and Sherry casks made up of first-fill and refill types. 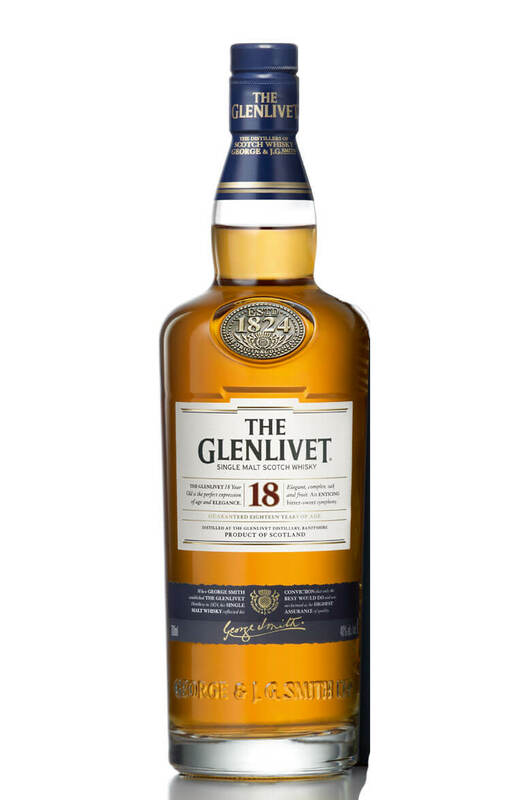 Silky smooth, with a syrupy mouthfeel and delicious flavours of dried citrus, apricot and vanilla..
A richly flavoured Glenlivet that manages to retain the typical smoothness expected from the dist..
A semi-official bottling of Glenlivet for private bottling stars Gordon and Macphail. This is named ..
A hugely popular series of single malts from Glenlivet. This 16 year old has been matured exclusivel..